In a Nutshell: Among financial institutions in Greater Philadelphia, DNB First, based in Chester County, stands out with nearly 160 years of uninterrupted service. It boasts a well-earned reputation for trustworthiness, stability, and community stewardship. In an industry characterized by lightning-fast changes in modern technology, the bank is building a forward-thinking consumer product line. DNB First is an institution that addresses the needs and preferences of a variety of customers and continues to focus on the future. 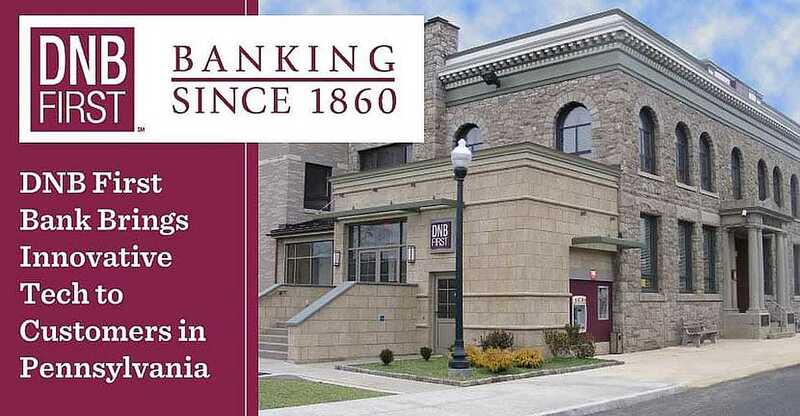 As the oldest nationally chartered bank operating in the Greater Philadelphia area, DNB First brings a combination of tradition and innovation to the marketplace. 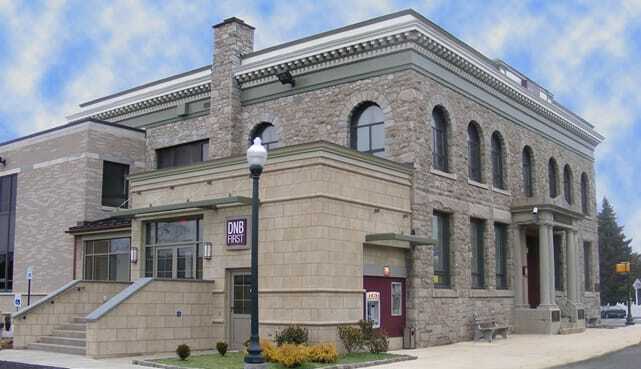 DNB First got its start in 1860, before Abraham Lincoln assumed his presidency, and has since earned a reputation as a community cornerstone with a history of serving customers in the region. But that kind of longevity is only possible when an organization is willing — and prepared — to adapt to change. If the bank had failed to anticipate and respond to industry trends, it would not be the vital force it is today. Jonathan McGrain, DNB First Director of Sales and Marketing, spoke with us about how the traditional bank uses technology to meet customer needs. DNB First’s strong track record of philanthropy and reinvesting in the communities it serves is another way it has maintained its status. The bank is dedicated to community improvement, supports many area nonprofits, and encourages employee volunteerism. Its wide-ranging portfolio of financial products and services address the evolving needs of consumers while making that corporate philanthropy possible. DNB First’s credit card selection offers a prime example of its commitment to serving a diverse marketplace. Six personal card options appeal to DNB First’s distinct consumer segments. The bank’s primary card is its low-interest Visa Platinum card. Ideal for everyday use, the Visa Platinum card also offers an extended introductory rate, which makes it a great candidate for paying down other credit card balances. “This is the card for customers seeking a rate that’s going to save them money,” McGrain said. DNB First also offers two Visa rewards cards. With the Real Rewards card, customers earn 1.5 points for every dollar they spend on eligible purchases — which is equivalent to earning 1.5% cash back. There’s no limit on the total cash back the customer can earn, and the time limit for redeeming rewards is a lengthy five years. “Plus, we give customers 2,500 bonus rewards points just for making their first purchase,” McGrain said. The other Visa rewards product — the College Real Rewards card — carries the same benefits as the Real Rewards Card but allows college students to redeem their points for merchandise, gift cards, or travel savings — in addition to cash back. Those who are first-time credit customers — or who need to improve or reestablish their credit history — turn to DNB First’s Visa Secured Card. The card affords users the convenience of credit — including the option to carry a balance — while allowing them to earn interest on the savings account that secures it. For more established credit customers, DNB First offers two American Express products, the no-fuss Cash Rewards American Express Card and the Premier Rewards American Express Card. Cash Rewards card users can earn cash back on gas station, supermarket, and other eligible purchases. With the Premier Rewards card, they earn points, including a one-time, 10,000-point bonus for spending $1,000 in the first three months. Another way DNB First meets customer expectations is through innovation. While it operates 15 branches to provide customers with personalized service, its online platform and mobile apps bring cutting-edge convenience and versatility to those who want it. “We place a lot of importance on doing business with our customers in the way they prefer,” McGrain said. DNB First’s online platforms allow customers to view account balances, transaction histories, statements, and images of checks and deposit tickets. Users can also transfer funds between deposit accounts and lines of credit, and make DNB First loan payments. Bill-pay and stop-payment services are accessible online, as well, and customers can set up customized email alerts. DNB First’s mobile banking app is one example of the digital platforms it offers tech-savvy customers. DNB First’s mobile apps boast most of the same functionalities and customers can set up a variety of account alerts via email or text. Key to DNB First’s approach to technology, however, is its appreciation of the role branches still have to play. While the bank serves demographics that have never known anything other than banking online, it also serves customers for whom online banking remains a novelty. DNB First was founded before the Civil War and has evolved to meet the needs of the times while anticipating the future. As McGrain sees it, that approach will continue. DNB First was founded before the Civil War and has remained a community fixture because of its ability to adapt to industry changes. Part of DNB First’s strategy for conveying that commitment is product diversity. Beyond its card products, diversity extends to the bank’s checking portfolio. From free accounts and options for students and seniors to relationship-based checking that earns interest and provides access to free or discounted services, DNB First stands ready to serve customers through all phases of their lives. “Consumers have more choice in financial services today than they ever have — both within the traditional banking industry and from other providers,” McGrain said. That’s why DNB First’s prime mission is maintaining the right mix of products and services, which means not just what customers want today but also what they’re going to want tomorrow. “Both from the market and technology perspectives, we plan to keep our finger on the pulse of change for a long time to come,” McGrain said.